The most famous Icelandic myth is the one about elves, the hidden people or huldufólk that live in big rocks. Some say that many Icelanders still believe in huldufólk, to such extent that road works or building projects are sometimes altered to keep the hidden people happy. So this first myth of course is long debunked, but what other myths or misconceptions exist about Iceland? A common misconception is that there are no trees in Iceland. Yes, there are probably less trees than in many other countries, but there are two main excuses that keep this myth alive: 1. ‘The weather is too cold for trees to survive’, ignoring the fact that other Nordic countries are full of trees. 2. ‘When the Vikings arrived, the country was completely forested to build houses’. If that was the case, Iceland would be full of houses! 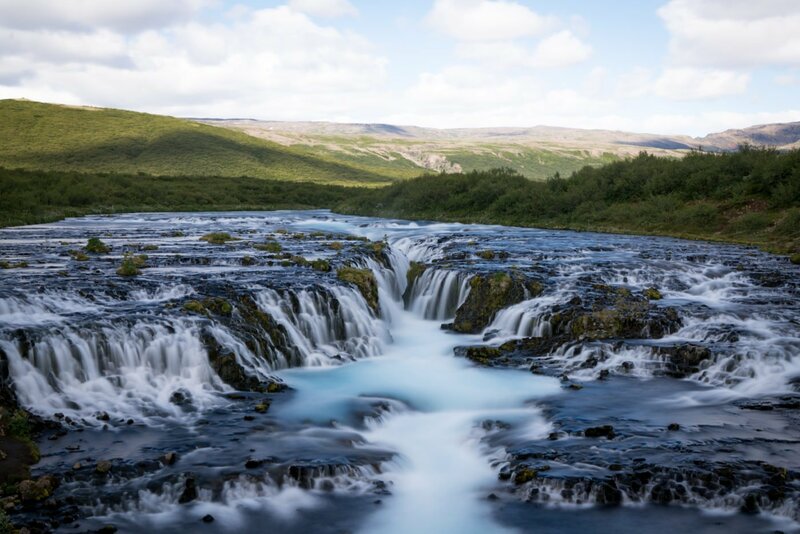 Best tree-spotting locations: the region around Bruarfoss and Skaftafell National Park. This myth is 100% busted. Then tell me, why is there a Lake Myvatn (Mosquito Lake) in Iceland? Okay okay, while it may be true that there are no mosquitoes in Iceland, I wouldn’t leave your bug repellent at home just yet. Many other small biting insects make up for the lack of mosquitoes. And if you’ve rented a car, you know what I’m talking about! There’s a reason why you can wash your car for free at nearly every gas station. After a couple hours of driving in summer, you can’t see sh*t because of all the bugs sticking to your front window! Myth busted! This is true, just fill up your bottles! Most cold water in small rivers and creeks come from glacial runoff so it’s as clean as it can be. Tap water comes straight from the source so that water too is 100% drinkable. No need to buy bottled water from the supermarket. That crazy expensive Icelandic Glacial Water they sell all over the world? 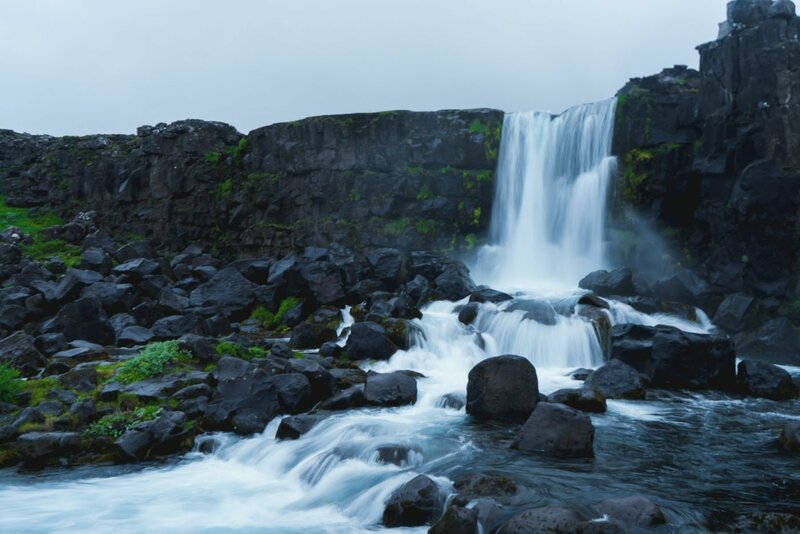 Any river water in Iceland will taste as good. After all, that’s what it is. Although beware, some springs in Iceland are hot and smell like sulphur. I wouldn’t drink from those! But of course, that’s common sense. There is no sulphur in the cold drinking water, and it’s probably one of the cleanest in the world! Okay so it is possible to get away from everything in Iceland. Actually, getting away from the busy life at home was one of the reasons why I wanted to visit this majestic country. The further you get from South-West Iceland, the less crowded it gets. That’s because most people visit Iceland for only a few days max as part of Icelandair’s Stopover program. Having only a limited amount of time, most people stay in South-West Iceland and book a day excursion. I highly recommend staying the maximum of 7 nights during your stopover, or just visit Iceland as your main destination and stay even longer. If you truly want no one around you, head inland! To do that, you’ll need a proper 4×4 vehicle to tackle the F-roads, like the Defender I rented from Kuku Campers. F-roads are mountain roads and are only open in summer because of the weather conditions. Going on F-roads will make a much more unique and rewarding experience! The freedom to roam, sometimes called ‘everyman’s right’ is the right to access and walk over land, pick berries and even camp wherever you want. Certain Nordic countries like Norway and Sweden are known for this. But one has to take this freedom to roam with a grain of salt, especially in Iceland. First of all it does not include activities that would disrupt the fragile Icelandic nature, like driving off-road! It’s all a matter of respect for other people and nature. Or course you can’t set up your tent anywhere like in someones garden or pick berries if they are obviously on private land. 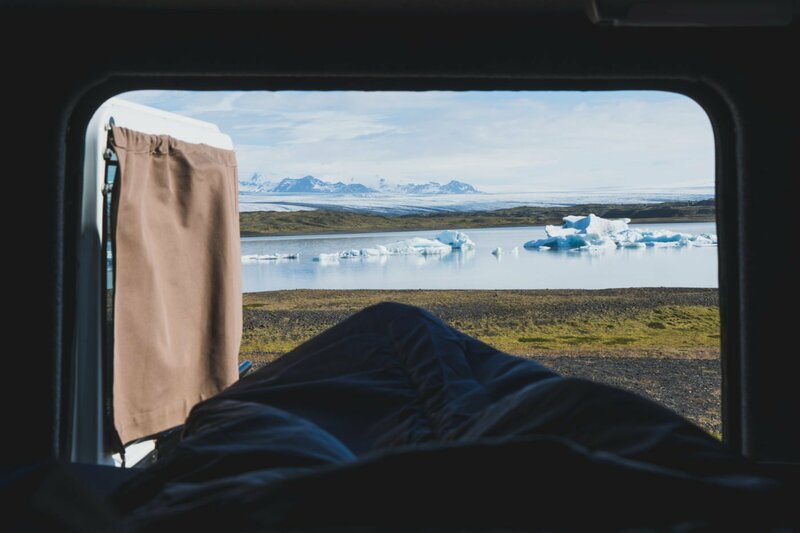 Iceland gets increasingly popular as a tourist destination and since the end of 2015, the freedom to camp is limited by a nature preservation law. There are many places though, where you can still set up camp amidst nature. Just head a few miles away from the main road and you’ll be fine. If you do want to camp on private property, just ring the door bell and ask nicely. Campervans, motorhomes and the likes can no longer be camped outside camping areas, so this means no camping on parking lots. On quite a few parking lots, you’ll see a sign that says ‘no camping’. Camping grounds are paid so you see a lot of people parking their campers on roadside parking lots and there seems to be a tolerance policy as long as it doesn’t get out of hand. If you’re in less touristy areas, you’ll be fine. One day, we pulled over to the side of the road somewhere near the crossing of road 52, 550 and F338 and not a single other car drove by that night! What a great experience to be amidst nature and don’t hear a single thing, just ultimate silence. 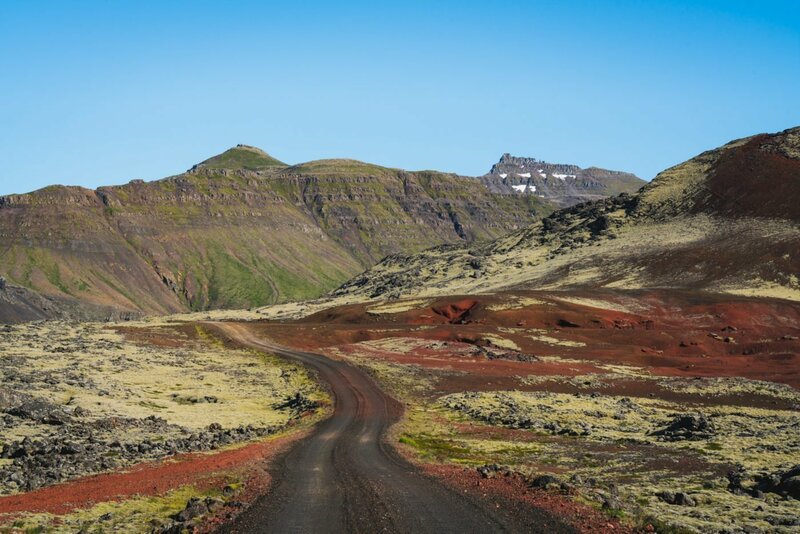 Myth 7: It never gets hot in Iceland, so skip the sunscreen: Busted! This one, as you might have seen my sunshine packed instas, is definitely false! It’s true that you won’t be getting awesome bikini shots on that black beach any time soon as it’s never that hot but when we were there we had a few sunny days with temperatures around 15°C. Add a little wind, and that my friends is how you get sunburn! Why Iceland still has a weather forecast remains a mystery to me, as weather predictions there are as meaningless as they can be. I’m not exaggerating when I’m saying you can experience 4 seasons in a day, so pack accordingly! Although I have not visited Iceland during winter yet, I’ve noticed that Iceland has a fairly mild climate with day temperatures in winter hovering around 0°C. Oh man, I wish I took a picture of this but when I saw this first-hand, I hadn’t got my camera with me. When Icelandic moms or dads go shopping or go drink a coffee, they leave their baby outside to nap in fresh air! ‘Oh my, why would they leave their babies outside in the cold?’ Well as we’ve seen in Myth 7, it’s not really that cold in Iceland. They probably wouldn’t not leave their babies outside at night at -30°C. But again, a temperature that cold is very rare in Iceland. When I looked up information and reviews about car rental companies in Iceland, I read a lot of horror stories. People who claim to have done nothing wrong with their rental car ended up in a terrifying nightmare when they were charged a gigantic sum to fix damage that couldn’t possibly have been caused by them! Yeah right… Perhaps you shouldn’t have taken your Toyota Yaris on an F-road towards the top of Snæfellsjökull! I couldn’t believe my eyes when I saw people were actually doing this! We’ve rented a Land Rover Defender, which is one of the most expensive cars you can rent in Iceland and also the one with which you’ll probably go on the biggest adventure of all, because that’s what it’s made for! We went on gravel roads made of rocks bigger than the size of your hands, went on F-roads and crossed rivers, pushing Ricky (that’s how we named the Defender) to the max. We were fine, no complaints from the rental company whatsoever. I just advise you to take your time to go over the existing damage and take pictures from the car at the start of your rental period. So if there is any ambiguity, you can clear that out. I have to add that water damage is never covered by any insurance so crossing a river is at your own risk. Get out of your car, get on your boots and check the river first! I hope this post helped to clear up some misconceptions about Iceland! What other misconceptions have you heard about Iceland?